That’s what we did when we added a text chat next to your work email. Quick discussions and status updates became just a ping away and writing emails for such small stuff, a thing of the past. By adding history in your text chat, things became more interesting. Recollecting what was discussed in the previous meeting was just a scroll up away. Suddenly those unmanageable and untraceable chains of emails vanished! Now with the new Baya Video Chat we take our philosophy of enabling you to do more in less time, to a whole new level. Whether it’s a one on one weekly project review with your boss (ohoo!) or a brainstorming session with your team, with the new Baya Video Chat, you can do all that and more right from your desk. Make video calls right from your chat roster. 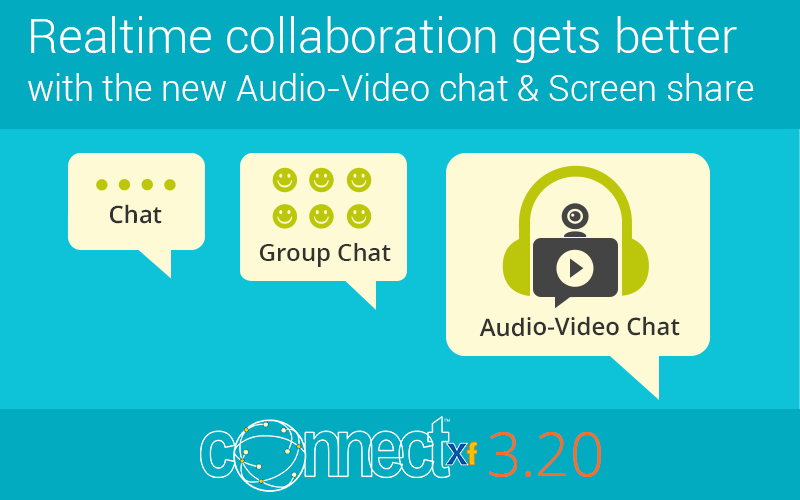 Want to add more people to an on-going video call? It too can be done right from your chat roster. You can meet with up to 4 people on Baya Video Chat. With our Screen-Sharing feature, you and others can even walkthrough those lengthy RFPs or give those sales presentations, should be without the need to send these documents and presentations over an email. Our new Baya Video Chat allows you to do just that. Just click on the video chat icon on top of your text chat roster window, enter the email addresses of your customer or your vendor or anyone you want to meet, (you can meet with up four people at once), select the date and time of your meeting and click on the ‘Setup Meeting’. Your meeting is set. You and other participants will receive instructions on how to join this meeting on your emails. We have made joining a meeting as simple as clicking a website link. By the way, meetings don’t start without you, so be on time. If you need a reminder, download the calendar event attached in your meeting invite and add it to your Baya Calendar or any other calendar application. Before we end this, something for your IT team to cheer about. Baya Video Chat requires no special hardware or software setup. You just need a regular mic and webcam for the video chat to work. You don’t even need to download any software as Baya Video Chat works directly in an internet browser such as Chrome, Firefox or Opera (sorry we don’t support IE and Safari as of now).